Reduce Time, Cost and Administration. Why use Triple J Procurement Services? Have you ever looked at your internal procurement costs? You might want to consider the following questions: How much does it cost to purchase several different items from various suppliers? What additional costs are being added to your overall administrative costs having to match all purchase orders in your accounts payable department? What is the cost of issuing several checks per day to various suppliers? Reduce time: We have the best working knowledge and resources to provide you with a solution. Reduce cost: Trusted long term relationships with vendors allows preferred customer pricing and volume discounts. 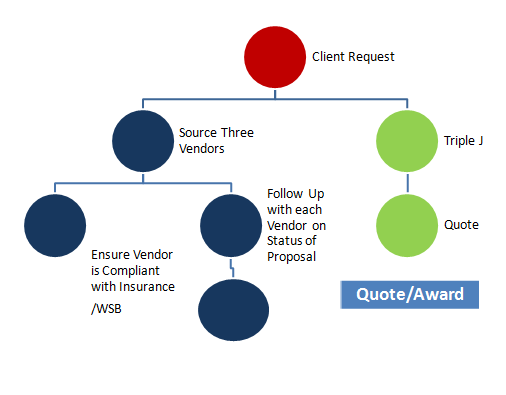 Reduce administration: Cut redundant transaction steps.